Out of 33 fire station projects in Seattle in recent years, 32 came in over budget. That’s uncannily bad performance that doesn’t seem possible by error or bad luck alone. There was a small news item out of West Seattle this week that should serve as a big warning about how the city of Seattle has been doing business. 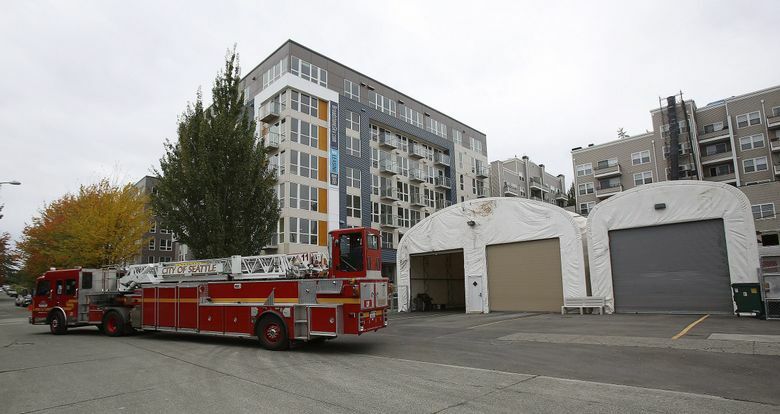 The West Seattle Blog, spurred by a curious reader, noted that the community’s Fire Station 32, which was to be replaced in 2007 after passage of a levy, still sits there, empty, while the firefighters work out of a tent-like temporary station a few blocks away. That’s right — the project already is eight years behind schedule. Twelve years into a nine-year mission, the fire-station program has grown from its original $197 million budget to $306 million — a cost overrun of 55 percent. Even more head-shaking: Of 33 fire house rebuilding projects around the city, only one — Fire Station 39 in Lake City — has come in on budget. The other 32 all blew past the original estimates, often by more than 100 percent. That’s Tim Cox, a Seattle retiree who used to work as a purchasing manager for hotel construction projects. He knows a thing or a thousand about big project budgeting, and pointed me to the fire levy’s abysmal track record. He said small overruns on any project are perfectly understandable. Big ones do sometimes happen. But getting 32 out of 33 wrong — this wrong — is uncanny. Take Fire Station 32. In the voters’ pamphlet when the levy was on the ballot in 2003, it was listed as costing $7.46 million, with a completion date by the end of 2007. But today, the old station, near the West Seattle Junction, sits empty. The firefighters relocated in February to what looks like fabric-covered quonset huts. No construction has started. A few years back, the station’s overhaul budget was revised upward, to $15.1 million. In 2014 it was hiked again, to $18.6 million. Yet even with those increases, the city told the West Seattle Blog that the city and the contractor “were unable to agree upon a negotiated cost that fits within the City budget.” So the project is being put back out for bid, and now work won’t start until next year at the earliest. That may all be true, but I find another theory more likely. When Mayor Greg Nickels first proposed rebuilding the city’s firehouses, his staff predicted it would cost about $260 million. People got sticker shock, and later the City Council chopped nearly $70 million off before putting it to a public vote. We voted for that smaller levy with a 69 percent yes vote, because who votes against firefighters? But then the council’s chopping later proved illusory. And once it was approved, the program became a runaway firetruck. The professor, Bent Flyvbjerg, argues that there’d be more variation if government project costs really were governed by technical challenges or mistakes. When 97 percent of the fire stations in one city come in over budget, that’s not bad luck alone. We do see this pattern all the time. The seawall was first estimated at $390 million, but dropped to $300 million before going to voters. Now that it’s half done we learn it’s really going to cost $409 million — a 36 percent overrun (so far), but not that far from the original estimate. “It happens so often there should be a warning label on each voter’s ballot that says ” ‘Be prepared to pay 30 percent more,’ ” says Cox, the purchasing manager. That’s not going to happen (though we are going to get warning labels scolding us for filling the car with gas). Seattle voters may have to do the unthinkable to get better performance. Just once, to send a warning of our own, we might have to consider voting no.